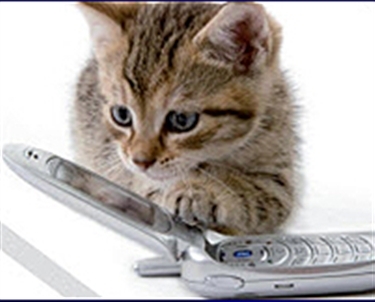 Donating your old mobile phone will help us find a loving home for a rescued cat or kitten. Could you spend a few hours organising an old mobile phone collection amongst your friends and family or at your place of work? Each phone will be sold for recycling, so you can do your bit for the environment and help a needy cat or kitten at the same time! Click here to download a poster that you can put up on a bulletin board.